The Winnipeg Symphony Orchestra is committed to developing and enhancing the Canadian orchestral community of conductors, composers, soloists, and orchestral players. At this time, the WSO has secured funding to add a third conducting position to the WSO artistic team. The focus of this position is to provide an opportunity for the musical development and career enhancement for female orchestral conductors. – Conducting selected concerts in the Orchestra’s Kids Concerts series, education/outreach programs and regional touring. Participating in the WSO’s International New Music Festival. Working closely with the WSO’s artistic staff in applicable programming. – Music directorship of the WSO’s Sistema program in cooperation with the WSO’s Sistema Manager. Now in its eighth year, the WSO’s Sistema program is a daily, intensive, music education program that helps children with the fewest resources and greatest need. – Assistance to the music director and guest conductors as required at Masterworks rehearsals and concerts, plus covering responsibilities should the appointed conductor be absent due to illness or prior commitment. – Conducting and directorship of the University of Manitoba Symphony Orchestra plus teaching selected graduate conducting students. There are two weekly Orchestra rehearsals and four concerts per academic year (September 1-April 30). Requirements: Experienced applicants only, whose talent, integrity and vision comprise all aspects of concert preparation, presentation and performance to a wide variety of audiences. Only qualified female Canadian citizens and Permanent Residents of Canada are invited to apply. Candidates must have excellent skills in English. French proficiency is desirable. 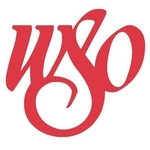 Residency: The assistant conductor will be resident in Winnipeg during the WSO’s regular season, normally from September through May plus a two-week summer season normally between mid-June and mid-July of each year of the appointment. The WSO will endeavor to assist the successful candidate in additional career opportunities. – A video link to a performance or rehearsal, preferably with a spoken introduction about yourself, the video, or some aspect of the music therein. Employment Equity is a factor in selection. Applicants are requested to indicate if they are from any of the following groups: Indigenous, visible minorities, and persons with a disability.